«My dad’s philosophy» illustrated quotation. Fathers and daugters, free quote pictures for Facebook, Twitter, LinkedIn, Reddit, Pinterest and other social networks. 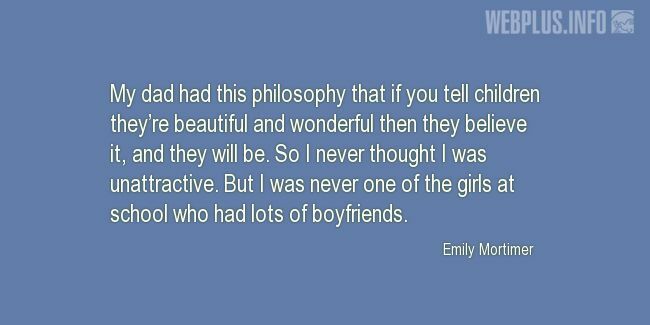 My dad had this philosophy that if you tell children they’re beautiful and wonderful then they believe it, and they will be. So I never thought I was unattractive. But I was never one of the girls at school who had lots of boyfriends.